Who else has a huge Build-A-Bear fan in their house? Eva is obsessed with it and she had at least 8 things from there on her Christmas list. She's been carrying around a bunny that we created for her when she was a baby. It's her favourite teddy and she won't go anywhere without it. We can't walk past the shop without her squealing with delight. For the last couple of months all i've heard is 'Mummy can I have this? 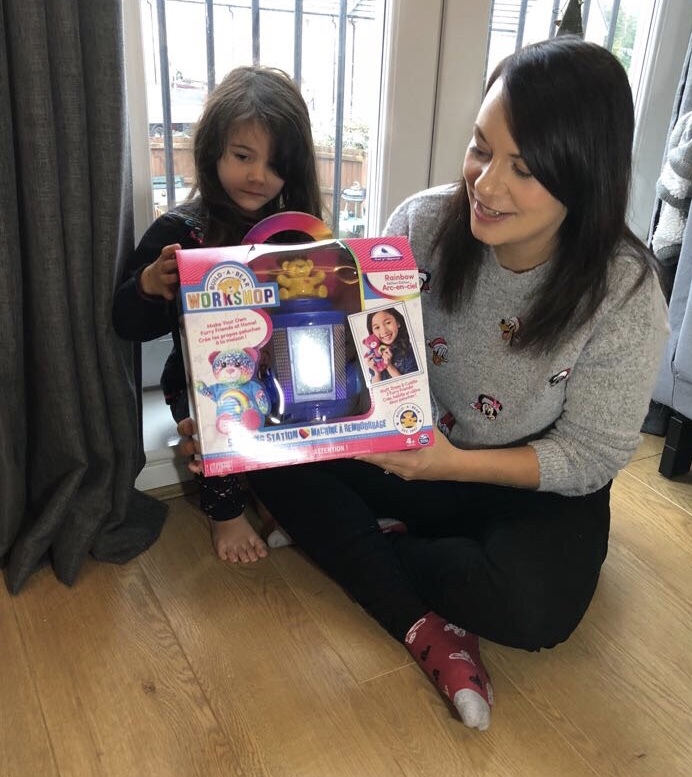 Mummy I need this, Mummy I can make my own Build-A-Bear,' every time she saw the advert for Spinmaster's Build-A-Bear stuffing station on the TV. You can imagine her delight when we were kindly sent the Rainbow edition to review. 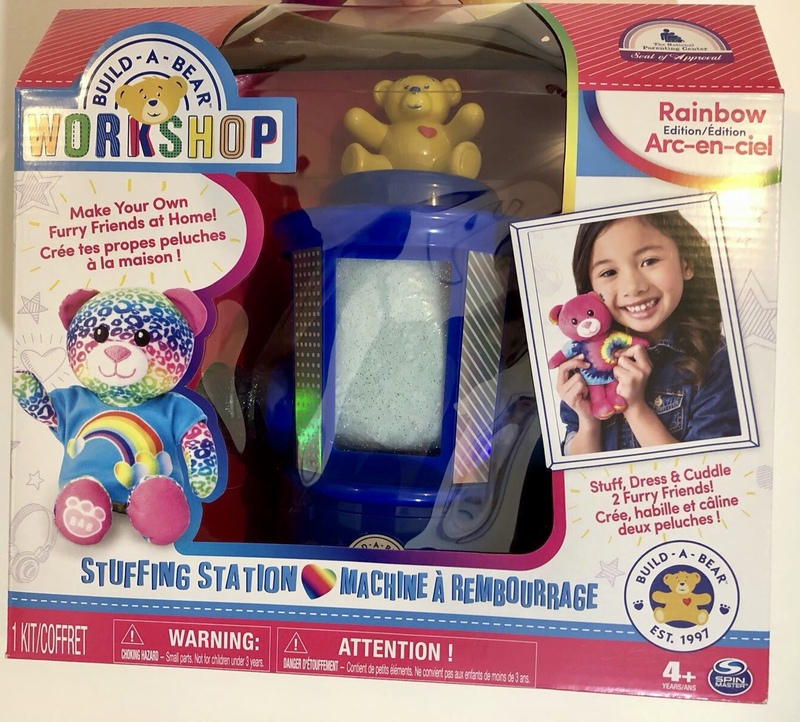 The Build-A-Bear Stuffing station is a kit that brings the magical experience of making your own teddy bear into your home. It is literally a miniature version of the huge stuffing station you see in the shop. Eva declared how cute it was as soon as we removed it from the packaging. The kit comes with everything you need to make 2 small teddy bears. 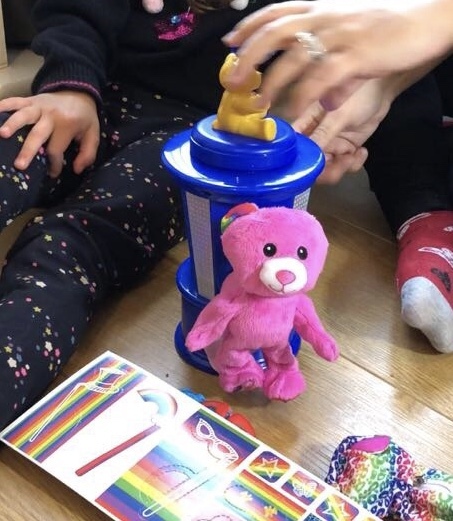 It includes a stuffing station, 2 Build-A-Bear cuddly friends in different designs, stuffing, t-shirts, plastic hearts, birth certificates and cardboard accessories. The first thing I noticed was how easy it was to take out of the packaging and put together. There's nothing worse than wrestling with a toy box when you have a very excited child, eagerly awaiting their new toy. I was also jumping for joy at the fact that it doesn't require batteries. This is literally music to a parent's ears. To make a bear you place the 'skin' of the bear on side of the stuffing station. Eva found this quite difficult and i'll admit I did too, until I realised that you have to almost 'screw it on' by twisting it around the nozzle. Next you pop a whole bag of stuffing into the station. You then have to turn the lever clockwise to start stuffing your bear. Eva loved this part and she was able to do this process by herself. The bear will pop off occasionally but this is a sign for you to use your fingers to push the stuffing into smaller areas of the bear such as the hands and legs. You then place the bear back on the stuffing station and continue to make it as cuddly as you wish. When you have used all of the wool, it's time to choose a picture or message to place inside your heart. Then make a wish and pop it into the back of your bear and zip it up to close. Eva loved picking a t-shirt and popping it on the bear. Even though there are only 2 t-shirts included in the kit, she must've got her bear changed at least 10 times in the space of about 10 minutes. Once your bear is stylishly dressed you can then write its birth certificate. Overall, Eva loved the stuffing station. She has told anyone and everyone about it and she always sneaks her 2 miniature bears into her school bag. She has asked for more skins to create more bears for her upcoming birthday. As a parent I love the fact that you can bring the Build-A-Bear experience to your home. I think it's a fab product but my only reservation is the fact that you can only make 2 bears with the kit. 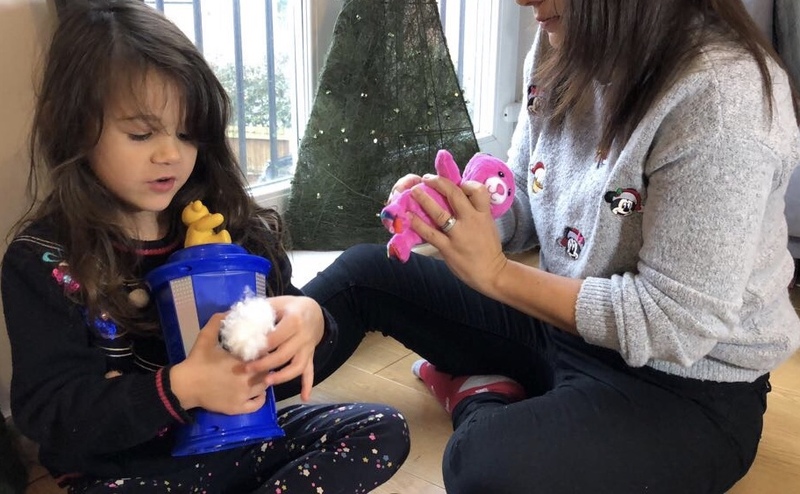 You can buy more skins and wool to keep using the stuffing station but this may be off putting for parents due to the extra cost to continue to use the toy. 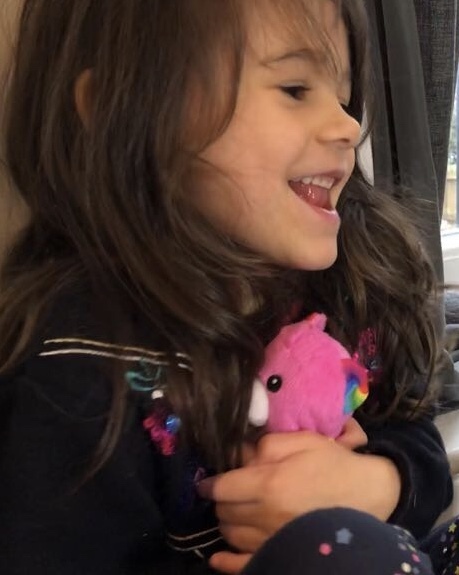 Eva is nearly 5 which I think is an ideal age for the kit as I know she will be able to use it for a few more years as her love for Build-A-Bear will be sure to continue for years to come. 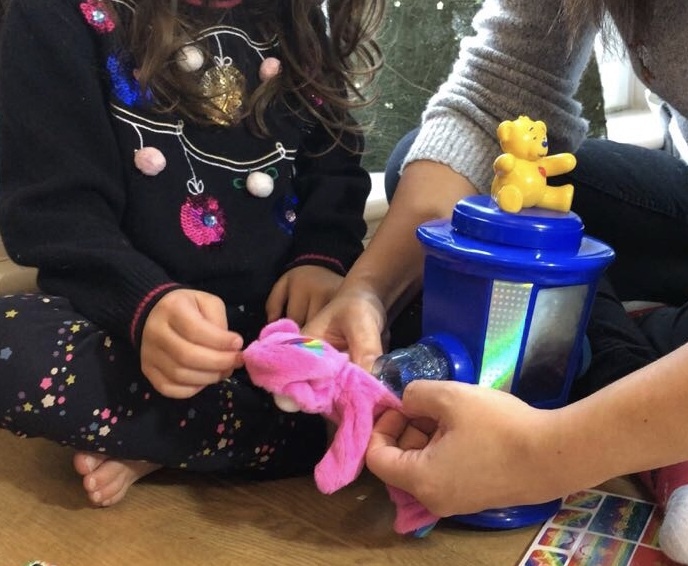 The Build-A-Bear stuffing station is available from popular toy retailers such as Smyths for around £24.99 although prices may vary depending on the store. Oh this is super cool. We love teddies and the build a bear store, so this stuffing station looks super fun! I'm glad your daughter loved it. That is really cool! I bet my 6 year old niece would love that!